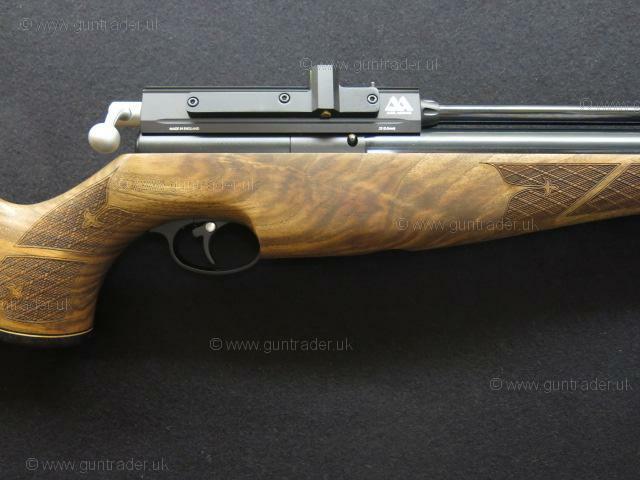 Air Arms .22 S410 Carbine Walnut Pre-charged Pneumatic New Air Rifle for sale. Buy for £695. 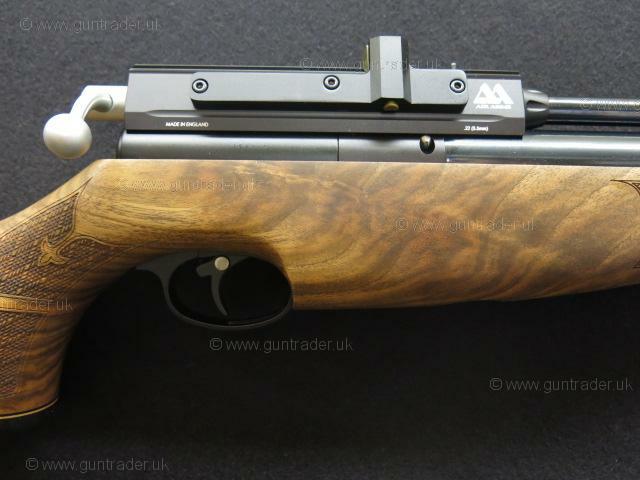 New AirArms S410 Carbine Walnut Pre charged air rifle in .22 calibre. 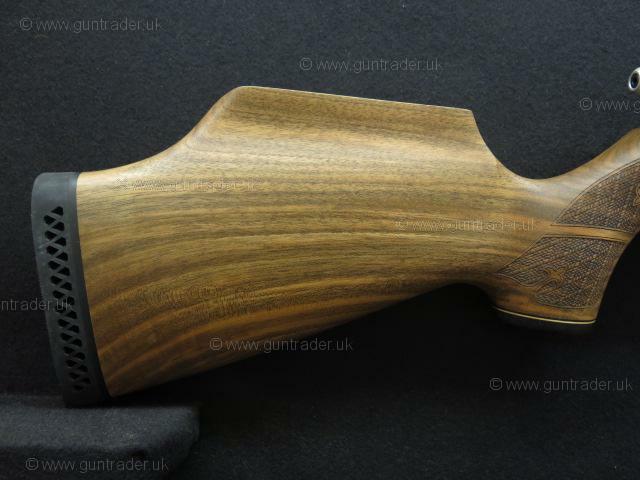 Oil finished well figured walnut pistol grip stock fitted with a slim rubber factory heel pad, super smooth S410 action with a detachable ten shot rotary magazine. 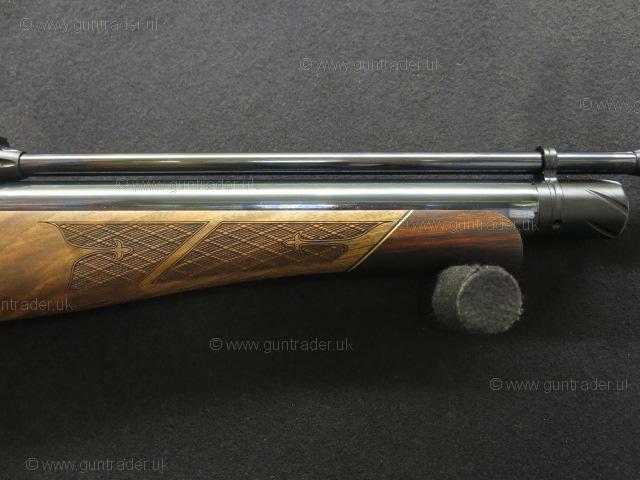 The action is set alongside a blued 16" standard weight barrel which can be fitted with a silencer if required. Crisp two stage fully adjustable trigger unit with integrated manual safety catch. The air cylinder on this air rifle offers the shooter in the region of 80 full powered shots per charge, the air pressure gauge allows you to keep a close eye on the amount of air remaining in the cylinder. 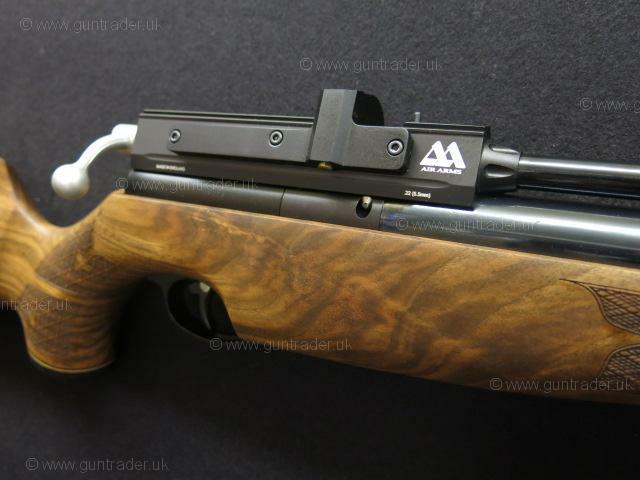 A scope, scope mount and sound moderator discount package can be added to this air rifle if required at extra cost. Please call for more information or visit www.Greenfieldguns.com. Part exchange welcome, please ask about our friendly 24hour RFD to RFD transfer service. 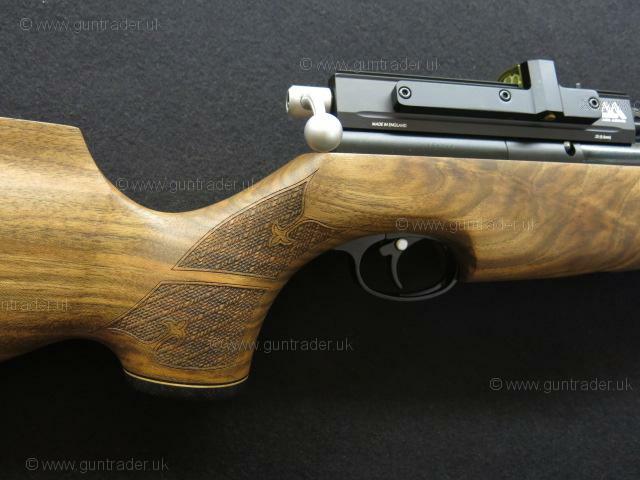 Actual air rifle shown in all of our photographs! Boxed.